Order our products before 6pm and your order will be dispatched the very same day! Buying from us will save you money as our remanufactured products offer savings of up to 70% compared to an original cartridge. Here at The Red Bus Cartridge Company, we thoroughly test our entire range of remanufactured toner cartridges. We are confident in the quality of the products and if you do not find them to be at least as good as the original product, we will be happy to send you a replacement or a full refund. Every year thousands of toner cartridges are disposed of ending up in landfill - this is hugely damaging to the environment as they take many years to decompose. Buying a remanufactured printer cartridge from The Red Bus Cartridge Company will not only save you on printing costs, but you will also be contributing to a greener environment by using a recycled product. Our cartridges offer an environmentally friendly alternative as they’re remanufactured in the England which enables us to keep our carbon footprint to a minimum and create a closed loop recycling system as they can be refurbished again and again. The internet is flooded with companies that offer compatible cartridges at rock bottom prices and, following extensive research of copy compatible products we have found that the old adage, ‘you get what you pay for’ certainly applies. Only the best components are used in the remanufactured cartridges that we sell and guarantees you will be purchasing a robust product that will perform exactly the same as an original cartridge. Many ‘copy’ compatible cartridges do not meet British manufacturing standards and are produced with stolen designs and a quality that cannot always be trusted. The toner cartridges we sell meet British remanufacturing case law, replacing parts only when necessary, this is why we call ourselves ‘cartridge safe’. 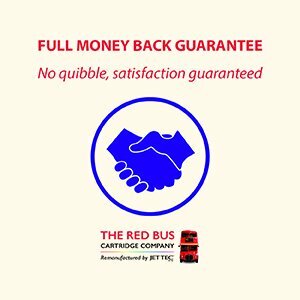 The Red Bus Cartridge Company are extremely proud to be selling a British remanufactured product. Our purpose built factory in Boston, Lincolnshire is where all of the remanufactured toner cartridges are made and is home to a team of dedicated employees with a wealth of diverse skills. Everything from research & development to packaging design is completed in Boston. 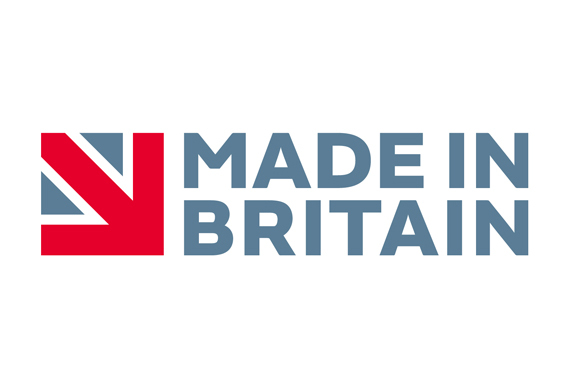 As a proud British online seller we continue to support the British economy and remanufacturing industry. Customer feedback is vital to us, which is why we have a Feefo facility built into our website. At the time of writing, we have a Feefo rating of 4.5 out of five, with over 85% of all our reviews containing the maximum score available.